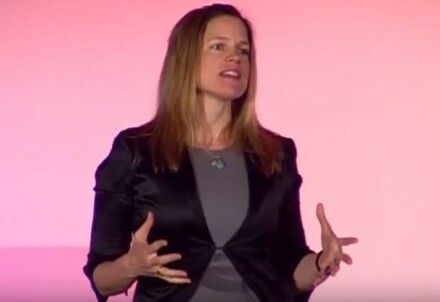 For two decades, Polly LaBarre has used her writing and speaking to help make organizations more resilient, innovative and inspiring – and to embolden and equip leaders at every level to make a meaningful impact. LaBarre’s work is driven by three core questions: How can organizations change the way they change in order to become endlessly adaptable and gain an advantage over time? How do you embed innovation as a DNA level capability inside an organization? How do we unleash and organize human potential in ever more powerful ways? 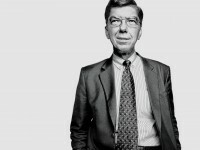 With her partners (including Gary Hamel) at the Management Lab (MLab), LaBarre works with leading organizations to make real progress on those ideas and accelerate the development and adoption of a post-bureaucratic, 21st century management model. Polly LaBarre began this exploration as a founding member at Fast Company magazine where she helped shape the remarkable success of a magazine that changed the way leaders at all levels think about working and winning. She also co-authored the bestselling book Mavericks at Work: Why the Most Original Minds in Business Win which has been published in 16 languages. Polly LaBarre is currently at work on a book about the future of management and large-scale change with Gary Hamel. Polly LaBarre is also the co-founder of MIX (Management Innovation eXchange), a pioneering open innovation platform launched by the MLab. Dedicated to making progress on the big challenge of reinventing management for the 21st century, the MIX is: a discovery engine for the most progressive management practices and ideas; an active community of in-the-trenches management innovators and change agents from around the world; and an experimental laboratory for developing and testing bold new ideas and equipping management practitioners with new principles, methods and models. The MIX hosts the world’s leading idea contest in the field of management (the M-Prize) and an annual gathering of the vanguard of management innovators, the MIX Mashup, which LaBarre designs and hosts. 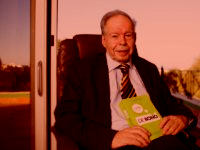 LaBarre’s writing has appeared in numerous publications, including Fast Company, The New York Times, The Wall Street Journal, Harvard Business Review online and the McKinsey Quarterly. Her widely syndicated blog, Fresh MIX, delivers agenda-setting ideas about 21st-century organizations. She has also been a frequent guest on radio and television programs far and wide. 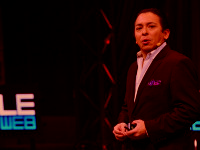 A popular keynote speaker, moderator/interviewer, LaBarre has addressed hundreds of audiences around the world – from large corporate and association gatherings to intimate top-management retreats. 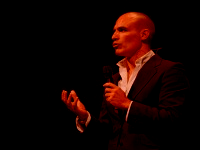 A brilliant storyteller, LaBarre takes audiences on an inspiring journey – bringing to life the people, organizations and ideas on the fringe that are creating the future. She reveals the most practical and high-impact ways to innovate, adapt and succeed — redefining how leadership, change, innovation, collaboration, employee engagement, organizational culture, accountability, disruptive strategy are done. Polly LaBarre is currently at work on a book about the future of management and large-scale change with Gary Hamel. She is on the board of advisors of TakingITGlobal, the leading online community for connecting and empowering young people to make a difference in the world. She is a graduate of Yale University. The big question leaders face today is: Are you changing as fast as the world is changing? If your answer is “No, not really,” you’re not alone. The “modern” organization was designed over a century ago to control processes, people and deviation from the norm. How can entrenched organizations change their DNA? Polly’s mind-flipping insights show audiences how to evolve their management model – the most powerful source of competitive advantage – and build an organization that is endlessly adaptable, relentlessly inventive, and genuinely inspiring. Experimentation, risk-taking, and variety produce game-changing innovation. Polly shows how to make every management process a catalyst, not a wet blanket, for innovation. She shares how the world’s most innovative organizations/leaders are strengthening their innovation DNA. They’re laying out the welcome mat for new (even dissenting) ideas, upgrading the innovation skills of every person in the organization, building in the crucial space and slack needed, creating a robust set of innovation metrics and tools, and leveraging new social technologies in service of invention, bureaucracy-busting and experimentation. For too long, the ruling ideology of too many organizations has been control – controlling people, information, and deviations from the norm. That’s exactly the wrong design for generating the innovation and engagement required to thrive in the 21st century. Now, leaders must focus on mobilizing and unleashing the full imagination, passion, and initiative of every person inside the organization. 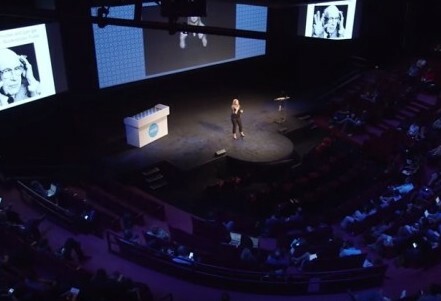 In this presentation, Polly introduces audiences to fresh ideas and “positive deviants”—the organizations and leaders riding the waves of change by busting bureaucracy, instituting radical autonomy, rethinking the work of leadership, promoting artistry and creativity, and cultivating trust and well-being. 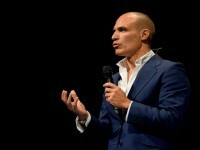 The Web is transforming management models as profoundly as it already has business models. 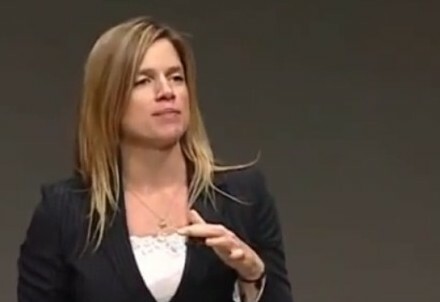 Polly LaBarre shows leaders how progressive companies are already using the new social technologies and undergirding principles of the Web to reinvent how they do strategy, allocate resources, make decisions, lead, engage, develop, and reward people. In this talk audiences learn how to expand the scope of employee freedom - to connect, contribute, create, choose, and to challenge - open up the organization, trade hierarchy for meritocracy, cultivate community, build collaboration, and court serendipity – all without sacrificing scale, efficiency, and discipline. Polly’s presentation builds on the key theme of the new era — leadership is no longer a function of your title or where you sit in the organization; it’s a function of your capacity to get things done with other people. You’re a leader today because you have followers — not the other way around. At some point or another then, everybody in the organization has a chance to exercise his or her leadership capability. Polly offers practical ways to embed 21st century leadership capability across the organization by rethinking values, breaking down bureaucracy, increasing engagement, banning orthodoxy and welcoming mavericks, misfits and heretics. If we want originality, invention and game-changing disruption — we need people who ignore rules, flout convention, defy the gravity of the status quo, question constantly, and experiment fearlessly. 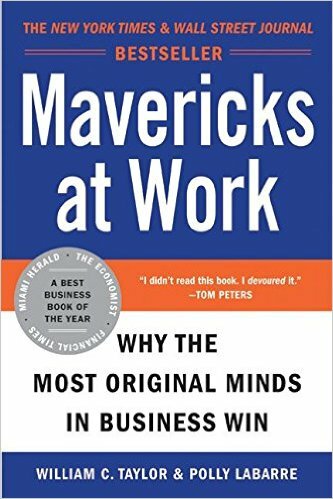 In a world of non-stop competition and rampant commodification, mavericks are the people who invent the future and create the most value. You don’t have to be a born maverick — or a disruptive startup — to push your organization, your industry, or the world into the future. You just have to think (and act) differently. Polly’s “maverick manual” shows how to replace rules with values, hack the status quo, embrace and connect misfits and troublemakers and make a system-wide impact – even when you don’t own the system. 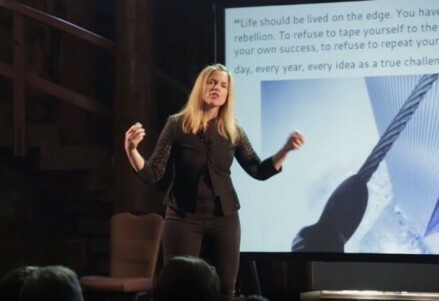 Polly LaBarre has designed and hosted events, led panels, interviewed celebrated thinkers & doers on stage and on television, and earned accolades for her ability to connect the dots and draw out valuable insights during her interactions. Whether hosting, interviewing one-on-one or moderating a panel discussion, Polly will help create a lively and informative forum for the issues you want to explore. "Thanks so much for coming to Santa Barbara for our NBC retreat. You were both energetic and inspiring – and, trust me, I would have been thrilled to have one or the other! You gave us a lot to think about and you set the perfect tone for a lot of the issues that are facing us right at this moment".